Nestled in the lush valley of Hahaione, Hale Ho'omaluhia is nothing short of a botanical oasis. With exquisite lava rock landscaping sourced from the property itself, the enchanting garden artistry and flowing streams emanate peace and serenity. Bright and breezy, the home features a spacious ocean view deck, 38 PV panels, vaulted ceilings, garden patio, 8 jet Jacuzzi master tub, library loft, and a cozy studio apt. Featuring over twenty plant varieties, including fruit bearing trees and bonsai, two bird aviaries, dog kennel, and four Koi ponds with waterfalls! Your tropical paradise awaits! 2 Parking Spaces. 2 Car Garage, Driveway, Garage, Street Parking. Landscaped, Workshop. Interior Lot, Paved Road. 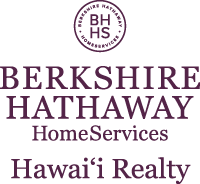 I am interested in 975 Uwao Street, Honolulu, HI 96825. Sign up for Inside AccessTM to view recent sales near 975 Uwao Street.